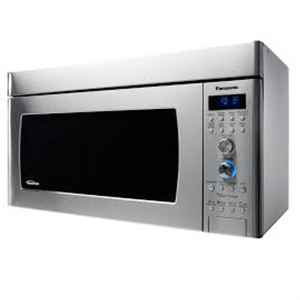 We provide Microwave Oven Repair in Corona and surrounding areas. Microwave ovens help us in heating up food in less time then a conventional oven. The heat waves act on moisture content of the food, heating is faster. Usually when we take out heated food items we see that the food has become dried up. In case of soups and gravy, it becomes extra thick so it's important to following our tips below when using a microwave oven. Uneven heating in microwaved food can be partly due to the uneven distribution of microwave energy inside the oven, and partly due to the different rates of energy absorption in different parts of the food. The first problem is reduced by a stirrer, a type of fan that reflects microwave energy to different parts of the oven as it rotates, or by a turntable or carousel that turns the food; turntables, however, may still leave spots, such as the center of the oven, which receive uneven energy distribution. It is important to insure your microwave components are working as recommended, but you think you need microwave oven repair, give us a call. 1) Always cover food items with a microwave safe plastic lid before heating. 2) Never use tin /aluminum foil or stainless steel cutlery in microwave ovens it may produce electric sparks. 3) Always keep the inside of your microwave oven free of grease and over spilled fluids by cleaning with sponge and soapy water. 4) There should be enough space (12’’ or more) between the back of microwave oven and wall for better circulation of air. For microwave oven repair, call 888-531-8550.